A truly special memorial gift for miscarriage or loss of a baby/infant. It is a remembrance gift of comfort for grieving families. Our 4 x 2.25" Angel comes gift-boxed with loving words by Teri Harrison. 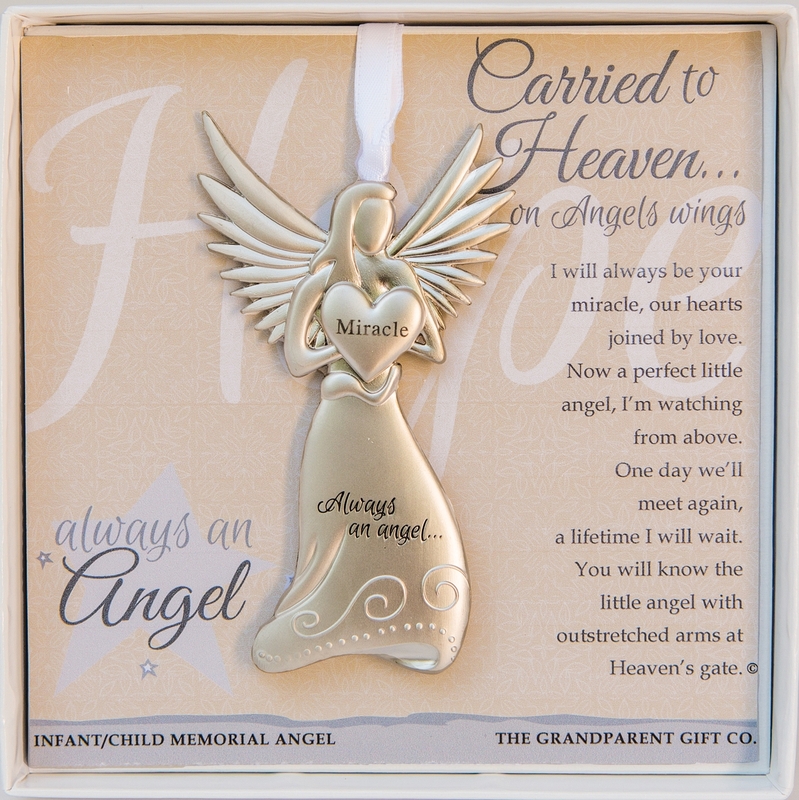 The angel ornament hangs on a white satin ribbon for year-round display, or store in gift box for safe keeping. This gift was a comfort to someone who's first pregnancy ended in a miscarriage. Gifted perfectly to display or leave in box with poem to read whenever the heart is heavy. My son became an angel shortly after birth in Nov 2015, and I wanted something to pass on to others in memory of him. I bought these to give to the hospital that delivered my son to give to future parents who have to cope with the loss of their baby. 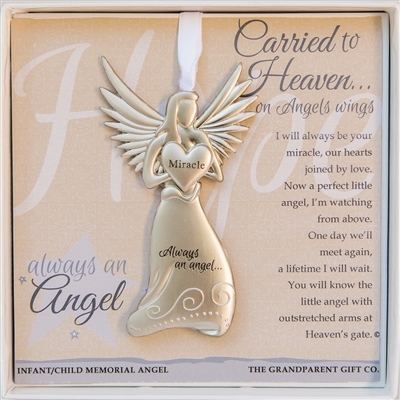 These ornaments are a way to remember our angel babies. Thank you for providing such a meaningful item. Absolutely beautiful and well made!